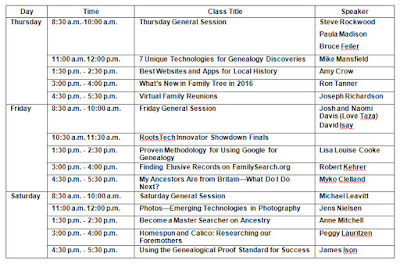 The streaming schedule for Rootstech 2016 has been released. Several sessions, including the general keynote sessions on Thursday and Saturday will be streamed live. After the conference, these recordings will be available on the website for a limited time. 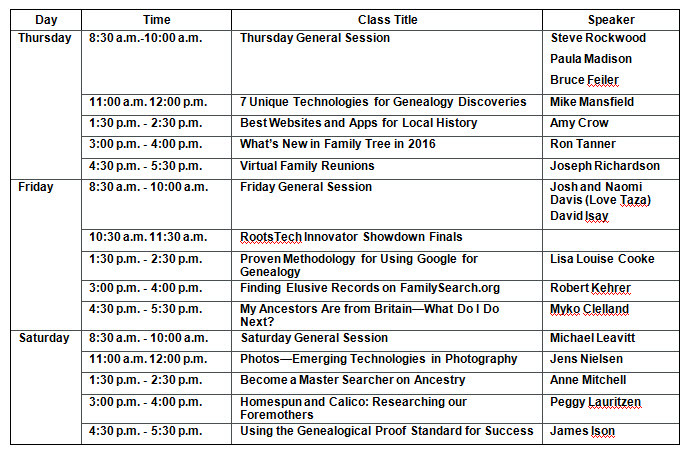 See the streaming schedule here for times, session titles, and presenter names.